Let’s be honest here: If you’ve been freelancing or even making your living as a writer in any kind of realistic way, you know the narrative tricks that brought Jonah Lehrer down. 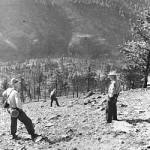 The investigation into the Mann Gulch fire. The act of a composing a high-level story in a condensed space requires a constant series of judgments. At the most fundamental level, it’s a balance between creating the story and sticking to the truth. (Here’s the blogger Felix Salmon on what he calls “the narrative dark arts”). De facto, you have to leave some elements of the truth out to create the story. It becomes very tempting to make the story more pure, to arrange elements of the truth in a fashion so easily consumable that it no longer really resembles the truth. That’s what Lehrer got into the habit of doing. The truth began to serve his story too much. Someone asked me the other day if there are more Jonah Lehrers now, or if they are merely being caught more frequently. I’m not sure either is the case. Search engines make it easier to catch this kind of intellectual chicanery, but it doesn’t necessarily follow that there’s a greater appetite for catching it now. Truthfully, we like what the Lehrers of the world do: They break things down in digestible ways. It’s only reluctantly that we face up to the idea that we were so desperate to believe that story is the truth that we bought Lehrer’s easy ideas hook, line and sinker. So there are the Rick Braggs of the world, and the Janet Cookes, and depending on the media’s mood at the moment and the details of what they did, the storytellers get punished for giving the audience what they demanded. The writers who are content to live in the world of literary books get subjected to less criticism, perhaps because we respect what they do more or perhaps because we understand intuitively that the ethical balance between truth and story shifts the other direction in those kinds of books. One of my professors at George Mason University casually mentioned in a class that it’s fairly well known that Annie Dillard borrowed the event described in the famous scene from Pilgrim At Tinker Creek, in which the cat leaves bloody footprints, from one of her students. In other words, the cat’s footprints never actually happened to her – even though the book is a called a “nonfiction” narrative. (I’ll add her publicist’s response if I get it). The students barely blinked an eye at the idea that Dillard made the event her own in service of the story, and I can’t say that I mind, either. The rules are different for a piece of literature, even if it’s nonfiction. One other book that I love, Young Men and Fire, is exactly about the struggle to wrest narrative from the strict truth. 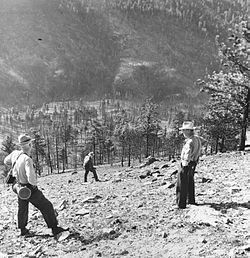 In parsing the details of the Mann Gulch fire, which killed 12 smokejumpers in 1949, Norman Maclean fought his own way to a narrative that was ultimately – only in the last sentence – about his wife’s death and his own mortality. In this cockeyed world, there are shapes and designs, if only we have some curiosity, training and compassion and take care not to lie or be sentimental. What the story of Jonah Lehrer – and the popularity of writers like him — tells us is that the broad public has little appetite for the intellectual rigor that Maclean suggests is necessary if we’re going to understand even an imperfect version of the truth. Give me a niche audience any day, then.